For over twenty years, New Bedford Ballet has continued its mission of performing ballets, providing classical ballet training to children and adults, ensuring access to ballet instruction for all through granting scholarships, and educating the community in the value of the performing arts. New Bedford Ballet has a respected reputation for high level dance training. 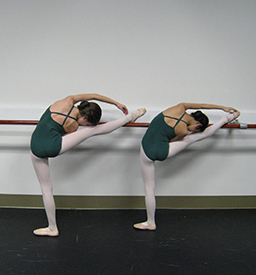 We offer a complete and structured program of training in ballet for students age three through professional, and adult classes for beginner through advanced students.